I have great experience with both topics today. I used to have high expectations for lots of things, that was how I was raised and educated to be: expect great things, expect good pay, expect to get married, expect to have money, expect to be happy, expect, expect, expect…. Now, I admit for certain things there are definitely outcomes you can expect: break the law, there will be consequences; don’t pay your taxes, the IRS will come knocking on your door. I am talking about what goes on in our heads. When we expect behaviors of other people, for example, we are basing that on our own paradigms, our own mind-set. It is emotionally dangerous to expect anything from another person. Even within marriage, once the “expectations” set in for our spouse, we are only setting ourselves up for disappointment, frustration, and eventually anger. We can anticipate various things, which is a softer outlook, but expecting them becomes a more hard-and-fast rule. Taking things personally. This was a hard one for me to overcome. I have a soft, tender heart, even though I can appear to be tough. I would interact with people, whether family, at work, or the public, and things they said or did would affect me. I would take things personally. As I have aged and matured, and grown closer in my walk with God, He has shown me the beauty and benefits of not giving away my personal power. By that I mean, giving others power over me so that I was taking in what they said or did, and my joy was depleted. I value joy, it has power in my life. It is levels up from just happiness. Joy is profound, it is a heart-issue. People ask me how to avoid taking things personally and I say “just don’t”. I think about positive and good things, I do not expect things to happen or behaviors to be just so, instead, I anticipate having fun, seeing the good of the setting. 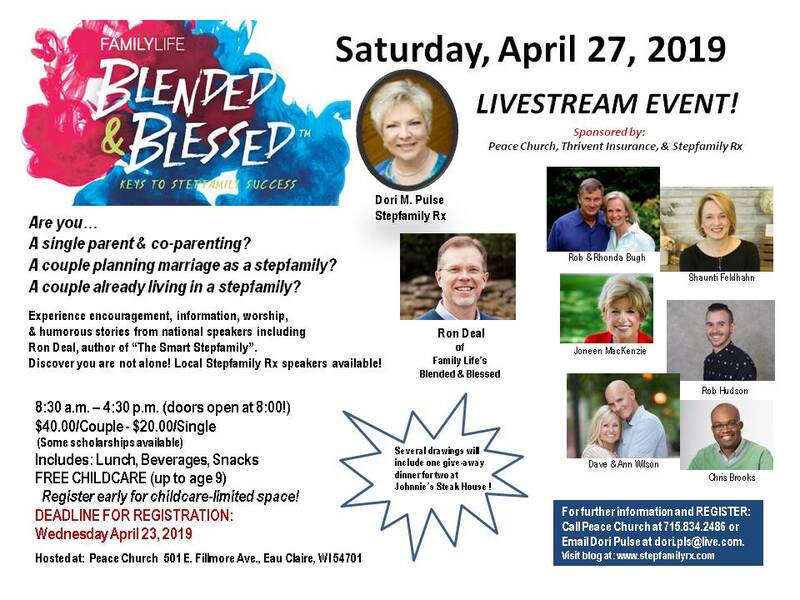 In stepfamilies, we expect too much of ourselves, our spouse, our children, and our stepchildren. We take way too many things personally. As a stepmom, I took so much personally, I crippled myself with doubt, self-condemnation, self-criticism, I worried, I fretted. In my heart are my desires and true intentions. I seek the heart of Christ, therefore, my heart serves compassion, love, encouragement, a proactive and positive outlook. Do I accomplish this perfectly every day? Not even close. But because my intentions are right and Christ-centered, my imperfections are captured and corrected. I am aware of them and do not let them get out of control. My prayer for you today is to model Christ, use the word “expect” less and avoid losing your joy by taking hurtful things other people say or do into your heart. God bless you. Within the last three months two women died that were very important to me. Recently the Divorce Care group that I facilitate at my church began. In a way, these two events are quite similar. I was not close to my mom, I was the first-born of six back in 1952. I was a happy kid, I remember that, but as I grew up, I always seemed to be under my mom’s scrutiny and judgment. So much of who I was and what I did bothered her. She seemed to hold me at arm’s length. I did see her love on my other five siblings; three brothers and two sisters. I used to always think I had failed somehow, that it was my fault my mom didn’t love me. Not until a Family Communications class at the university I attended made it clear to me…..it was not my fault. I found her relationships with other women close to her, her own mother, and her sister, were also quite estranged, or at least not close. One of the two women who died was my mom-in-law, who went to heaven on my birthday in November. We became more close in the last 2-3 years of her life, the last year which was spent in a nursing home after a debilitating stroke. I broke through the “I love you” barrier and she began to voice her love for me frequently and sincerely. It was an incredible balm to my aching girl-heart. So, it was with my best friend’s mom, Momma Larson, who would love on me, hug me, and tell me she loved me. Again, two mom figures who gave me what my girl-heart needed. They filled a void in my girl-heart, within my woman body. When they died, I grieved them deeply. I still do. I feel a sense of loneliness and miss what my ears and heart used to hear. This year, my Divorce Care participants are largely made up of people that have been married 26, 32, 42 years and now on the path to divorce or already divorced. A death of marriages. A room full of pain and anger and disappointment and loneliness. I am consumed with the parallels in the losses of the two. Marriages ought to be full of love and encouragement and support and companionship. Sure, they travel through the swamps of troubles and angst, but with God at the helm, marriages survive and continue. Divorce involves many losses, of which the “dream” is a vital loss. The dream of someone to take care of you, be with you when getting old. Death is final, but even within death, the love and strength of God in our lives, we survive and continue. Divorce can be avoided, death cannot. I have been through two divorces and in looking back, I can see where I made poor choices within my percent of the marriages. But this room full of people at Divorce Care….I pray and I wonder….what happened? How can couples be married more than 20, 30, 40 years and call it quits? My ministry is on the other side of this question. 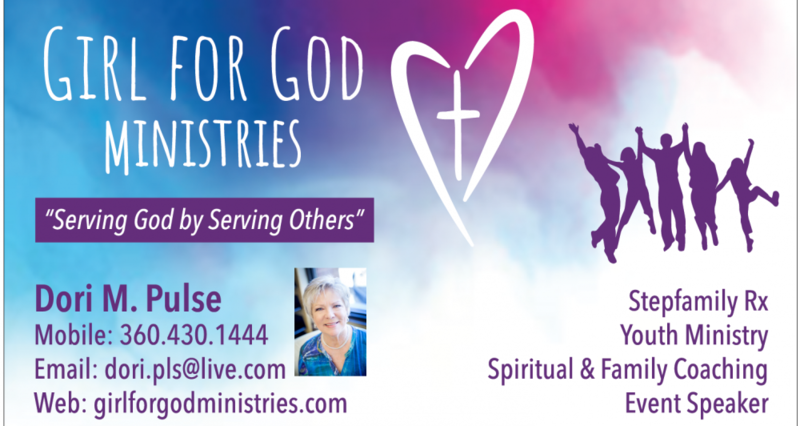 My ministry is one: to help those going through separation and divorce to heal and recover, and two: to help couples prepare for remarriage and stepliving. The study and research into long-term marriages that dissolve intrigues me and I will probably begin to study and seek research on this topic. It just seems so unfair, so wrong, so darn sad. I see the loss of love in the womens’ girl-hearts around the room. I see the loneliness in the men. As for the loss in my girl-heart…perhaps God is telling me “Now it is your turn to be the “mom” to other women and tell them you love them.” I will. I do. I’m entering the realm of having my older relatives pass on, bringing me to the top of the ladder. Guess I need to get used to that idea! God bless each of you reading this. If you are married, pray to God and take care of your marriage. If you are going through separation and divorce, take your time, be sure this is what you want….divorce changes your life and that is a fact. If you are facing death, tell others you love them, forgive anyone you can think of that is needing it, apologize to anyone that you should…don’t leave earth with regrets. If you are living….tell others you love them, forgive anyone you can think of that is needing it, apologize to anyone you need to, find joy, don’t let a day pass with regret. Live, Love, Laugh, Learn. All this through God…He is our hope and Christ our salvation.